Welcome to CITY FEED and SUPPLY. We are a neighborhood grocery/café/deli supplying the neighborhood with a fine selection of Natural Foods * Specialty Groceries * Local & Organic Fruits and Vegetables * Regional Artisan Cheeses * Local Meats & Free Range Eggs * Fresh Bread and Pastries * Fair Trade Organic Coffee from Equal Exchange * Hot-Pressed and Cold Sandwiches * Soups & Locally Prepared Foods * Catering platters for all your soirees and shin digs! LOCAL Goods, all kinds! SO COME ON DOWN! You’ll be glad you did. Always good pastry and coffee and sandwiches. Trying the soup today. Great place with a variety of local products. I was able to buy local honey which was exactly what I needed! I loved City Feed! They have some off the beaten path food and beverage items, and I had the most delicious muffin. Everyone is friendly and helpful too! Wonderful selection, friendly staff, delicious food! I love City Feed! Great food and great people! A great shop with a nice variety of food and other goods. It was like a farmer’s market cafe and store. Very cute! Excellent market with local goods. The local store is a great spot to pick up a sandwich, some meats, beer, cider and wine! Fantastic bagel lox and cream cheese on Asiago bagel. Great coffee. Interesting and natural goods. Nice wins selection. Delicious, had the turkey and brie panini and a chocolate chip cookie, also perfect, crunchy on the edges and soft/chewy in the center. Will definitely return. Loved City Feed! Great gourmet sandwichs and local grocery items. I will be back! Super tasty sandwiches on good bread! Friendly service and cosy environment. Great local spot for coffee, sandwiches, snacks! I loved City Feed. Some of their items are significantly overpriced but they have great coffee and other selections that I enjoyed. LoVe City Feed great sandwiches, treats + selection. I love organic, non-GMO verified foods and their offerings of delicious deli foods, bakery items, and sandwiches for breakfast and lunch/dinner. I plan to go back to City Feed and Supply as their regular customer. Both City Feed and Nift have great products and customer service. The selection of natural food and organic produce was amazing. It was a nice, relaxed atmosphere with friendly and helpful staff. Great local spot, friendly staff, delicious sandwiches! Tasty sandwiches and yummy baked goods. The pumpkin muffin was delicious and cinnamoney. Groceries are definitely more expensive than you’d find at a big name grocery story, but they have some specialty organic brands that are harder to track down. Great selection and quick check out. City Feed is an essential in my neighborhood, and it was a great thrill to see they participate. However the shelves are never fully stocked there, so my trip there was a little disappointing. Great staff and selection of ciders. Great neighborhood coffee shop as well as specialty groceries and cheap eats. Great place to have coffee and watch the world walk by on Centre street. City Feed is the best. Very tasty sandwiches and great quality products. Loved it! Will be returning soon and regularly! I live nearby and visit frequently. The sandwiches are very good, though service is often slow. Overall it's very convenient but a little pricey. A great local business within the convenient business district area of Jamaica Plain. Sells coffee and pastries, in addition to food products from small producers not typically found in big supermarkets. A great visit! A cute local cafe/grocery shop. Grocery selection was very limited, mostly snacks and some vegetables. Right on Centre St, and lots of parking nearby. City Feed and Supply was a nice, cozy little grocery shop and eatery right in my work neighborhood. I never knew they existed so I was pleasantly surprised. The staff was welcoming and helpful to me being a 1st timer. I ordered the 1/2 sandwich and soup combo for lunch(Smoked Turkey w Avocado on Focaccia/Italian Wedding Soup) which was AMAZINGLY DELICIOUS!! Like Heavenly!! I was also able to pick up ingredients for my salad I will be making later for dinner. Will definitely be going back!!! Love shopping here and Nift has given me an excuse to go more frequently; as many items are higher priced than I would normally pay, Nift makes it possible for me to support local! Plus, customer service is just excellent! The sandwich at City Feed & Supply was delicious and enormous! I was also really pleased with the grocery selection. The turkey, Brie and apple sandwich was delicious, and was a generous portion size! Their cane sugar soda fountain kept me guilt free as I washed the sandwich down with black cherry soda! I would DEFINITELY go back. Best sandwich I have had in a long time. They were very helpful and it was a pleasure to use your service!! Good food and coffee; great products and produce. City Feed is always a great experience. The food and products they have there are delicious, and the staff are amazing. Very lively place with great products! Awesome place full of great local goods and lots of energy. Got the turkey sandwich and it was delicious! This place has amazing sandwiches and coffee! Great lunch spot! Warm and inviting - and always supporting local products and farmers! Cityfeed is rather pricey but and they have a very limited selection of goods (I didn't try any of the sandwiches or drinks) but what they have is very good quality and the staff that I worked with was friendly and helpful. 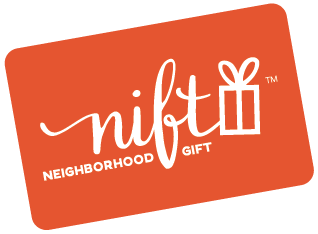 That helpfulness was a very good thing because the Nift system is not user friendly - I turned out to be impossible to print the gift code certificate and, lacking a smart phone, I had to rely on the Cityfeed staff to find a way to let me use my Nift. Love the community atmosphere and delicious food. Great people watching. Their sandwiches are great. Gotta be prepared for a bit of a wait, but I think it's worth it. The service has really improved over the years--the folks working tend to be way more patient and kind than in years past. I was nervous from the reviews on Yelp and almost decided not to go since it’s at least a 30 minute drive from my house. I’m not a big sandwich person but I enjoyed the Italian and a bite of the turkey thanksgiving sandwich. I would probably stop by for coffee if I’m in the area again- they had a lot of options for coffee that looked good (I’d unfortunately already had my share of caffeine for the day). City feed is a great local spot! Good variety. Very nice ambiance. Nice staff. Great customer service. I enjoyed my sandwich and beverage. I'd call City Feed and Supply an old fashioned upscale variety store. I love the rough cut rustic decor, and the large seating area to eat in. They seem to have a wide range of coffees, and specialty beers. I bought a luxurious pre made sub, high quality pre-sliced turkey, and Cabot Pepper Jack cubes with my nift gift. I hope to get back there soon. Great sandwiches! Unfortunately they don't have wifi, so don't attempt to study there! The gift was great . Fresh food ! City feed has good quality food, and great sandwiches. Great specialty items. City Feed is an amazing locally owned business- we love their sandwiches, friendly service, and great variety of locally grown and locally produced foods. We hope City Feed stays in the JP neighborhood for many years to come! Great selection of food and drinks but on the pricey side. City feed never fails to deliver quality goods and service. Had a lot of trouble actually redeeming the Nift card - it took literally two employees five minutes at the cash register. That said, I liked City Feed and would go back again for good quality produce. We got sandwiches and they were delicious! Everyone was very friendly, it was a nice little store. Have been a City Feed customer for a few years. Waits for prepared foods can take abnormally long, but is usually very good! Was able to pick up both a couple grocery items and coffees with my Nift, and had a good experience in the store and with staff. Best sandwiches and staff is so friendly. City feed is a great place, with lots of interesting products and a great neighborhood vibe. The sandwiches were mainly ok, though not great, and one of my group had a really sad, underfilled sandwich. Great store with good hours - love that it is open early. But things are quite expensive! City Feed was great and redeeming the gift was easy! City Feed has a great selection of beer and wine and the best sandwiches. City Feed & Supply is a great place! Your scale buttons are not working. I would rate CF&S at "5." City Feed is a jewel of JP! Friendly and helpful staff, great products, and nice place to eat and hang out. Best hot chocolate in Boston. Great food - a bit expensive. Wonderful staff and a huge selection! It was great!! Highly recommend. So generous, thank you! City Feed is pretty expensive (but for good reason -- it has high quality stuff) so I wouldn't ordinarily go there; the nift allowed me to indulge some and support a local business! Love City Feed sandwiches and beer selection. I hadn't realized the variety of products that they offered, or the variety of prepared foods to enjoy on the spot. Great selection for a relatively small establishment; will patronize more in the future. Thank you so much! We LOVE City Feed - they have delicious food and coffee, the people are always friendly and helpful, and they are an extremely socially and environmentally responsible business. Exactly who we want to support! I love this place! Great food and market. I will frequent this place! Delicious food and nice atmosphere! It is a great local store. and the two locations are both convenient. great for coffee and pastries, sandwiches. Prices prohibitive for groceries, only in an emergency. The redeeming was complicated as the cashier didn’t know how to do it, and had to get help from three other people. They were out of gift cards, which made it harder. Complicated, but worth it. I’ve always seen this on Centre street and luckily got to have lunch there on Sunday. Amazing tufurkey sandwich and kombucha on tap. Delicious! Will definitely stop by again to try other specialities. Great service and staff. Great place to go and start your day with a coffee and bagel sandwich. High recommended to anyone walking down Centre St. and looking for a quick snack. Amazing sandwiches, friendly and helpful staff, good neighborhood ambiance. Great selection of food items and friendly staff! Great place to get a coffee. High quality food goods, but on the pricier side. Would love to be able to work from here, but there's no wifi. That has its perks, though! Food was delicious and healthy. Went in to use my Nift and discovered some new brands I actually really like.... I've been back since specifically to buy what I bought the first time! Customer service was excellent! Love this local gem! Amazing sandwich and excellent staff! So happy to have this business included on the Nift platform! Best sandwiches in JP, without a doubt. Great place with a nice vibe. City Feed makes the BEST sandwiches! I love their grocery selection, food, and general vibe. I like city feed and supply and want to love it, but it seems they're always running out of things in the deli! It's a bummer. But otherwise they're great! The sub sandwich I had was very good. The quality of the food, sub roll, roast beef and the cheddar cheese were excellent. They are a bit pricey in general , but it is understandable considering the quality. Good prepared foods and local cheese. I'd put a "5" if the site would let me, but it won't. I do not have email on my phone and so need to print out the Nift certificates. This confused the clerk at the store. City Feed is great! I go there relatively frequently but don’t often buy the more expensive products. But with this Nift card I was able to try some some items I would not normally buy (but now may end up buying more frequently!) Thanks! City Feed is the place to go for craft beer in JP. They always have a great selection of hard to find beers for this neck of the woods. Lots of tasty food available and the sandwiches are top notch as well! city feed has good stuff, but it's super expensive. i used the nift to get some treats, and it was awesome. Great breakfast sandwiches and coffee! Nice grocery selection too. Delicious sandwich and pastries. Nice atmosphere. So many yummy options. The staff was friendly and patient. We had the most delicious sandwiches! Great grocery, fantastic selection of goods and fairly priced. Delicious breakfast sandwiches and super friendly service! Easy to use and well worth it! I've stopped here for coffee before, but never looked at the grocery portion. I had no idea City Feed carried local, organic milk. So excited about that find! City Feed and Supply had a nice selection of organic produce and staples in addition to a cozy cafe with friendly employees. Really great sandwiches — glad we tried this place. Cityfeed is a great neighborhood grocery store! Sandwiches were enjoyed by all! Delicious! Great selection of groceries and specialty items, many organic foods. Great cafe food, friendly service, and very much a local establishment that prides itself on supporting farmers and small businesses in the area. Will definitely return. MY SANDWICH WAS DELICIOUS, I ALSO GOT TWO SOUPS, ONE WAS EXCELLENT BUT THE OTHER WAS RATHER BLAND. Great sandwiches. Didn’t know they had a deli. This one was the best yet. And it does encourage me to shop more in my local spots. Great food and great vegetarian options! Love City Feed! I found some great gifts to bring to family gathering at Thanksgiving! City Feed is such a great local marketplace and cafe- good food, good quality, good people, right in the center of JP! 5! We love city feed!!! City Feed and Supply has a lot of quality products so it was nice to get a Nift to try out new things there. We loved buying some produce and a great seasonal latte with our Nift gift! Thank you! City Feed is a wonderful establishment. I love the local grocery store feel of it. The breakfast sandwiches were fantastic. Great atmosphere and a great selection of high quality groceries. I found that they sold a product that I've been interested in buying but was having trouble finding. Now that I know that they carry it I well return for more. What a wonderful gift and surprise! Cool store, super friendly staff, amazing food! Place is amazing and nice.. It was great to have a gift certificate to try some different things, especially because some of the grocery items are pricey. The sandwiches are great but take a very long time to prepare. We enjoyed some of the unique local meat and cheeses -- we will be back! I love City Feed and patronize it often -- it was really nice to get to go and order with abandon! Although, it seems they didn't process my Nift when I went so I had to manually mark my coupon as used. You may want to make sure they know how to process Nifts! It was great! I spent more than 30 but buying things here and learning how close it was to me was great. This is actually about this form. I find the 1-5 scale bar below hard to use/interpret. I click on 5 and no change. I click on lower value and higher values grey out. To choose 5, do I just leave it alone? Great place for basics, specialty foods, wine/beer, and deli/coffee in the heart of JP. A real neighborhood treasure! I was able to get a good variety of food items with my gift, snacks, bread, granola, and a bottle of wine. I will take them to a reunion event I am attending. I was very pleased with my purchases. Great things and fantastic customer service! However, the prices were a bit stiff for certain products. Excellent choices, awesome service. I will start getting all my picnic goodies here! Found everything that I was looking for and they were very friendly. Delicious sandwiches and fun local grocery options! City Feed had all we needed to make s great summer picnic to bring to Jamaica Plain pond! Thanks! I had a birthday friend to buy for, so it couldn't have been more timely, and fun. scale down below doesn't seem to work. I'd give City Feed a resounding 5. City feed has great local foods, and the most delicious sandwiches! I treated my friends to a picnic with my nift gift! The line can get really long at lunchtime, but if you are looking for local, organic, specialty items it's the go-to place. We were very happy with what we got and the staff was very helpful. Loved that, at City Feed, I could choose to spend the gift card on something practical (groceries, morning coffee) or on something fun (wine, cheese). I appreciate the local grocery store and cafe aspect of City Feed. The prices are too high for me to shop there on a regular basis, but it's a great place to try new and/or unique foods! I love City Feed. It is a bit more expensive than other stores but the food is really fresh, customers have an opportunity to help local farmers and merchants and the staff here is always friendly. I used this wonderful surprise gift to buy a few things I normally do not purchase and look forward to dining on "gifts" this weekend. Really tasty sandwiches, but docked a point because I had to wait over 30 minutes for a cold sandwich. I feel like the kitchen should be able to move faster. Amazing sammies! Great beer selection. City Feed was so great. We ordered sandwiches which were fresh and delicious! They had many vegetarian options which is always a major plus in my book! Staff was super nice! great selection of natural and organic foods. very polite and warm staff. It was great. Everything in the store is very high quality and the staff super helpful. The sandwiches we had were excellent as were the delicious oatmeal and chocolate cookies that were the size of dinner plates. I love the team at City Feed. Personable and kind. keep up the great work! Great, fresh, local food! Full of life every day of the week and the staff are patient, laid-back and pleasant. A great place to grab locally produced groceries or just grab some lunch with the kids! Love this service and think it's a great way to promote local small businesses! Really great! We used the gift to try their breakfast and coffee options, which were amazing! We'll definitely go back for more! You're a little on the expensive side! The process didn't take long in the check out line and the gift enabled me to become more familiar with the store's inventory. I wound up buying things I hadn't purchased before. Great place! I will be checking it out more often from now on! Super friendly and good food, but also pricey for someone on a moderate income. city feed is a great local store. Very friendly staff and beautiful atmosphere! I feel wealthy with my City Feed gift card in my pocket! City Feed and Supply is an excellent local store. Lots of local goods and friendly staff. The local craft beer selection is great. Thank you! I love shopping local and this was such a treat. The #14 sandwich isn't as good as it used to be. Wasn't really hot enough, cheese barely melted. I will enjoy my purchases, however i find most everything in this store to be way overpriced, so i'm not likely to do much shopping there in the future. staff were refreshingly positive and informative re: how to use the Nift, and also about other topics! Some absolutely fantastic cookies and chocolates! Dangerous for waistlines! City Feed as a wonderful anchor in the JP community - a great place to gather, sip, and find sustenance and treats. City Feed was bustling with holiday shoppers but everyone that worked there was very helpful and kind during what can be stressful pre-Thanksgiving shopping! It's was amazing the food, super is was great! Real food! Staff was excellent. Thanks! Service was lovely. Brussel sprouts, kale and tahini were great! Dr. Bronner's was overpriced. Great place and enjoyed using the gift there!! it was great!! their "farmers lunch" sandwich is one of the best around!! We love the Nift idea -- we loved City Feed (Farmer's Lunch sandwich is the best! ), we love our reiki master who gifted if to us. A real win win win. Great opportunity to try out a new small business!